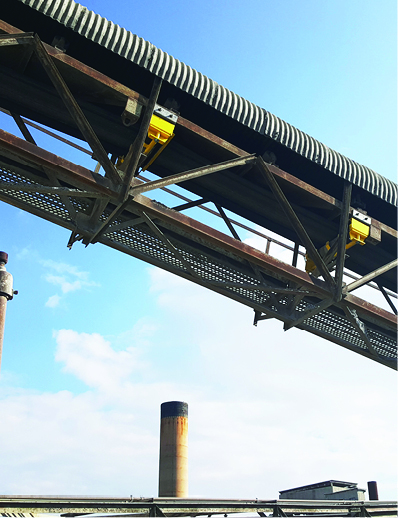 The Safe-Guard® Return Roll Changer allows you to remove and replace a roller from a single side of the conveyor and/or from whichever side of the catwalk is located. replacement from a single side of the conveyor. • Provides pinch point protection to prevent injuries. 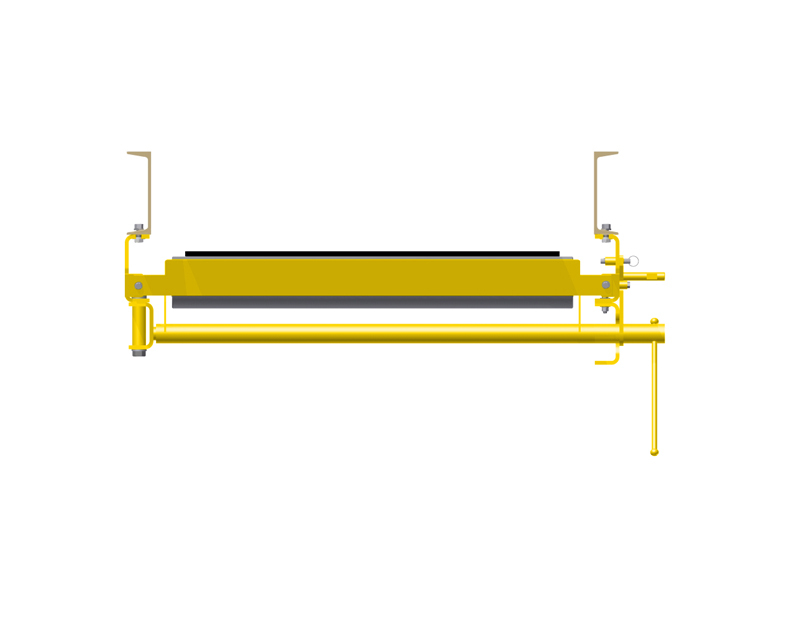 • Reduces maintenance time for roller replacement. 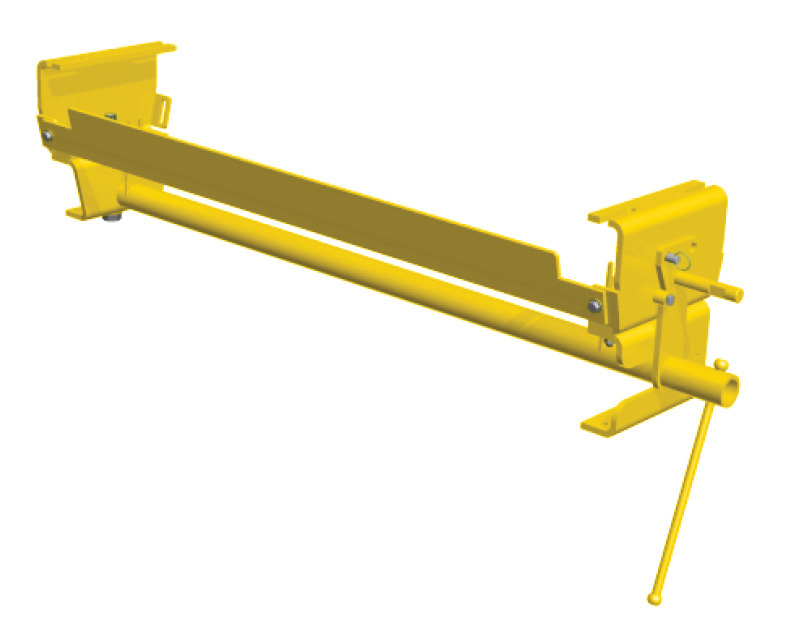 • Eliminates need for high lift equipment. • Can be customized to fit any manufacturer’s roller. NOTE: We need the idler manufacturer and part number at time of order. 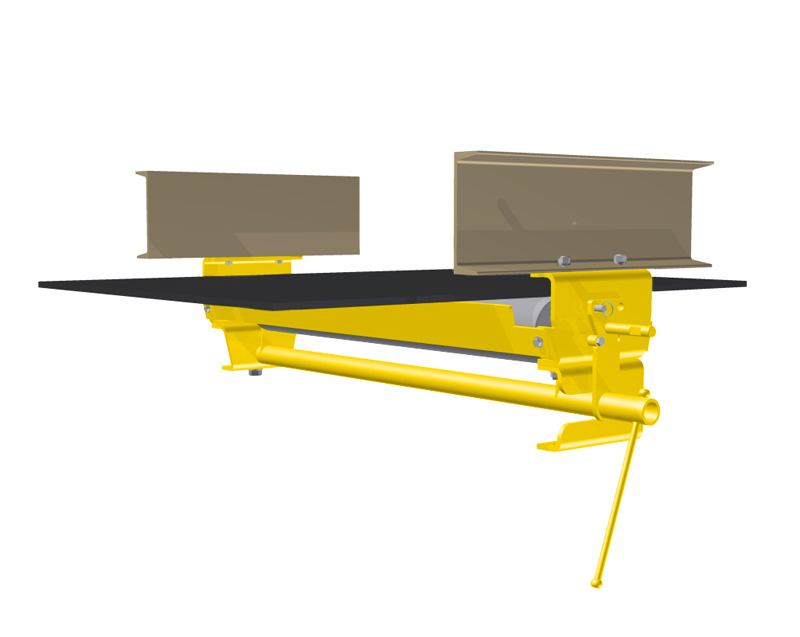 The Safe-Guard® Return Roller Changer is designed to allow you to remove and replace a roller from a single side of a conveyor and whichever side the catwalk is located. 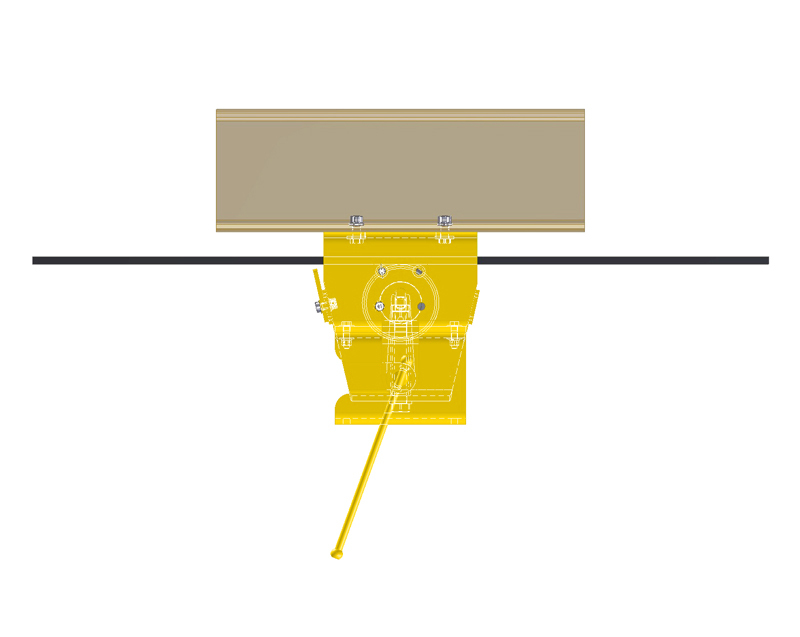 Installation of this Safe-Guard® Roller Changer does not supersede any other safety procedures of safety practices. Failure to observe all instructions could result in serious injury. It is the owner’s responsibility that the owner and each operator read and be familiar with the ASGCO® Installation Guide. 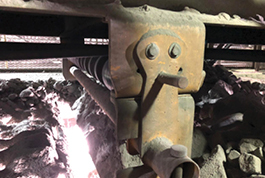 I talked to you a couple of weeks ago about the ASGCO® return idler changer we recently installed on one of our 72″ conveyor belts at Fording River Operations. This unit is really a game changer for me, not only will it allow us to replace our return idlers in a fraction of the time it previously took, (probably 75% less time) but the process is now much safer due to the fact that we no longer have to try and stand or kneel under a conveyor belt in a curved, sloped, and sometimes slippery conveyor tube, while trying to physically lift a 130 lb. return idler in place. It also seems to be a well designed, sturdy product. 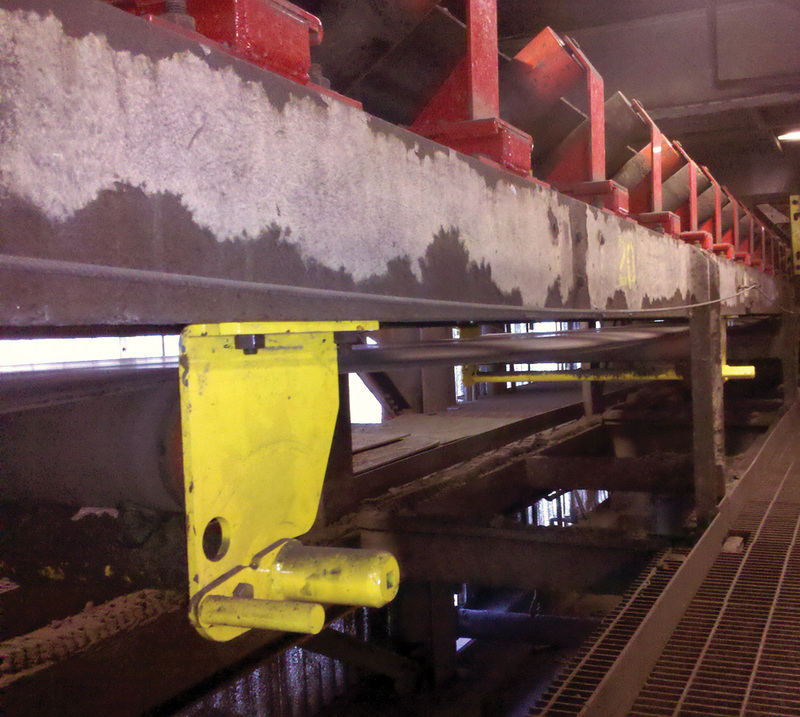 Our plan is to install several of these idler changers on our conveyor belts in the future. 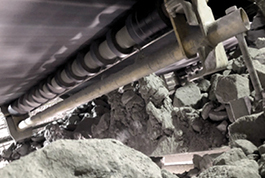 ASGCO® Safe-Gaurd® Return Roll Changer installed at a copper mine in Chile.